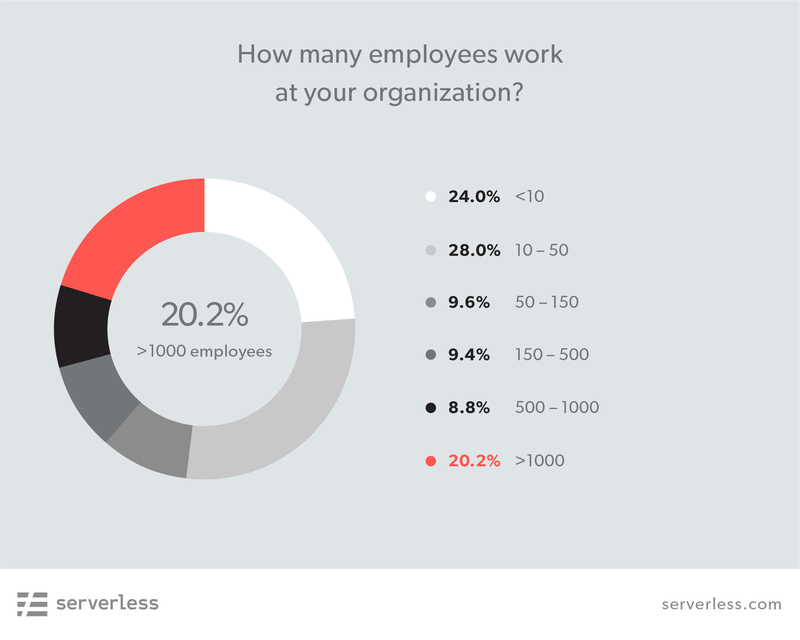 We at Serverless Inc ran an open-to-all serverless community survey. Our goal was to tease out some cool insights that we could then share back with the community. Well, we won’t give it all away. ;) The full report is below; check it out! 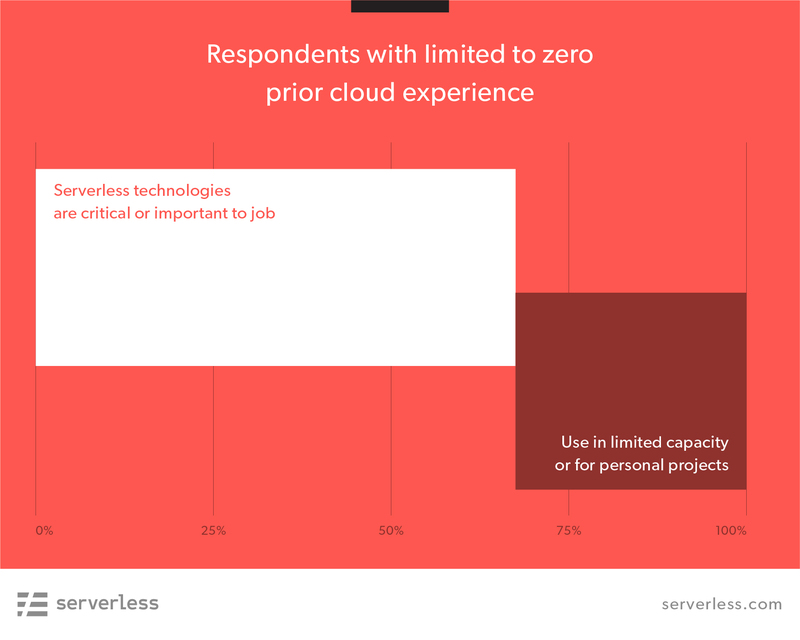 This survey was created and (primarily) distributed by us at Serverless Inc. 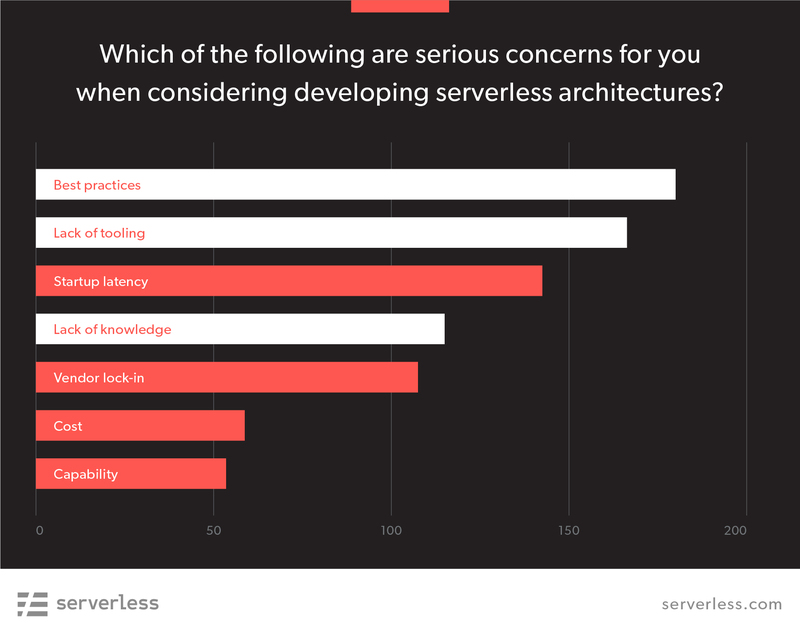 While we tried to cast the net as widely as we could, the majority of people who answered the survey were probably Serverless Framework users, and as such you can expect some bias in the results. Just want to make that clear! We will also reference our 2017 survey results in this report, and the same caveat applies there. 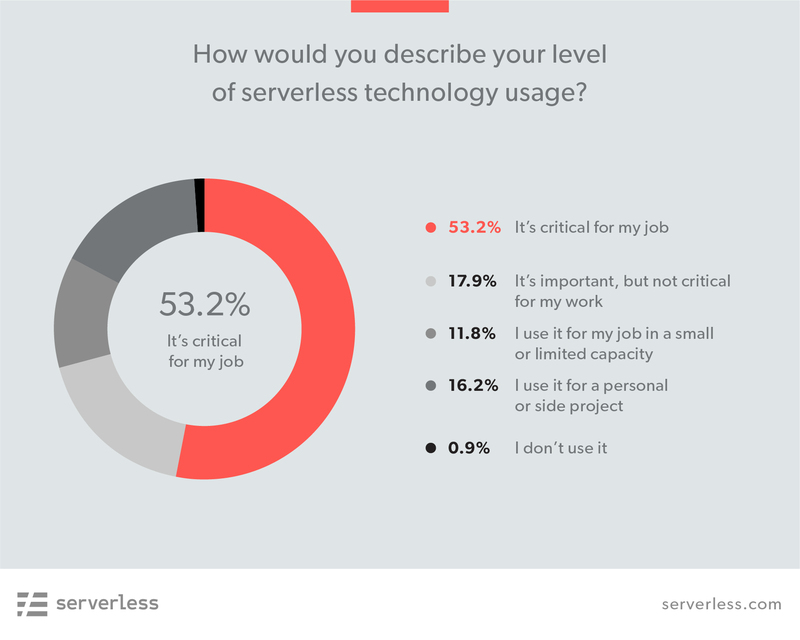 In 2017, 45% of respondents said they were using serverless at work in some capacity. 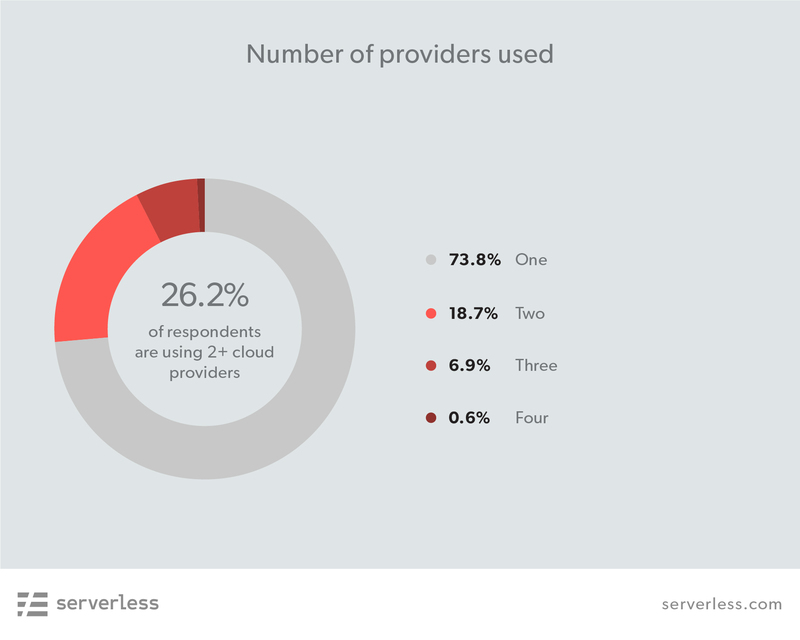 About 26% of survey-takers were using 2 or more cloud providers; nearly double the number from last year. 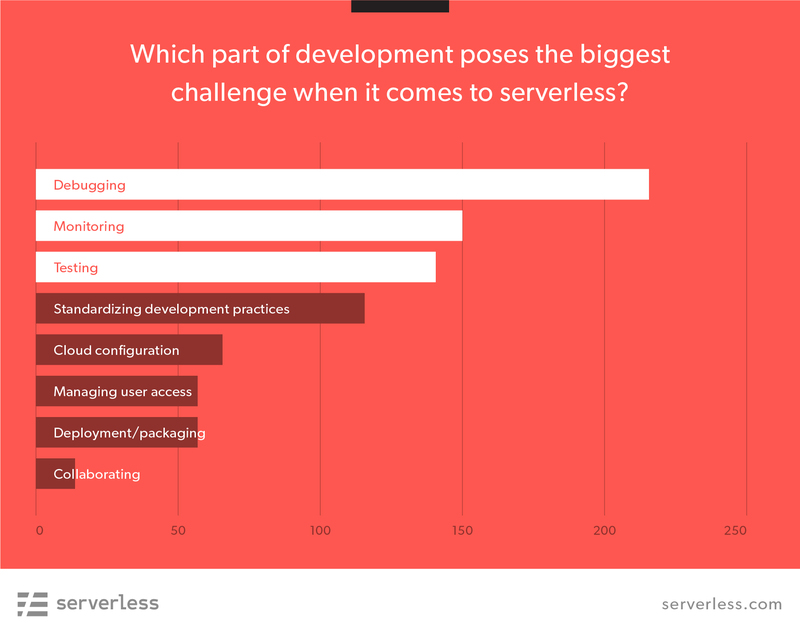 When we asked people a subtly different question about the biggest challenges they faced with serverless, the answers followed right in step with adoption roadblocks. 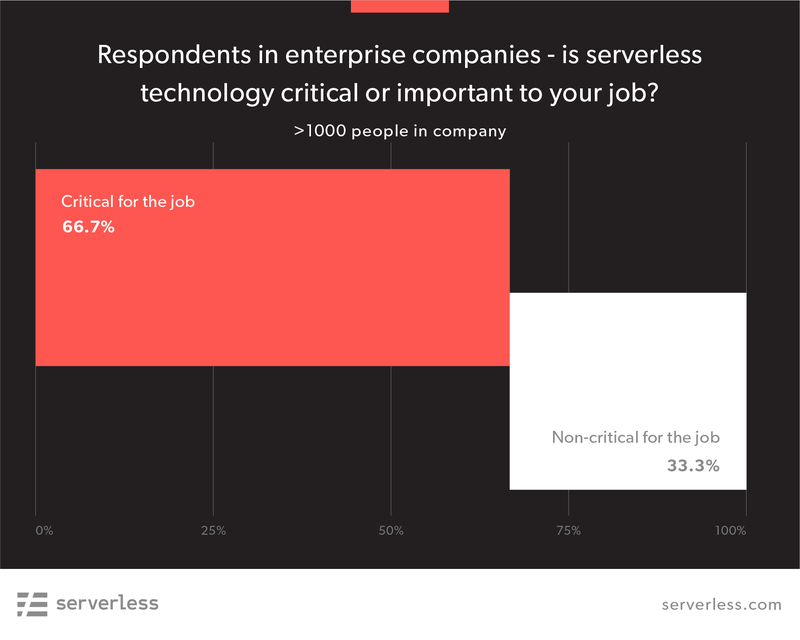 What’s more, 67% of enterprise respondents said that serverless was either ‘critical’ or ‘important’ for the work they did at their jobs. These aren’t just light workloads or side projects. Those instances of ‘company’ you see are people telling us they built their companies on serverless. The ‘fly’ is people saying ‘on the fly’, as in, they built an app that would let them (e.g.) process images on the fly. And a surprising number of people are generating or manipulating PDFs? 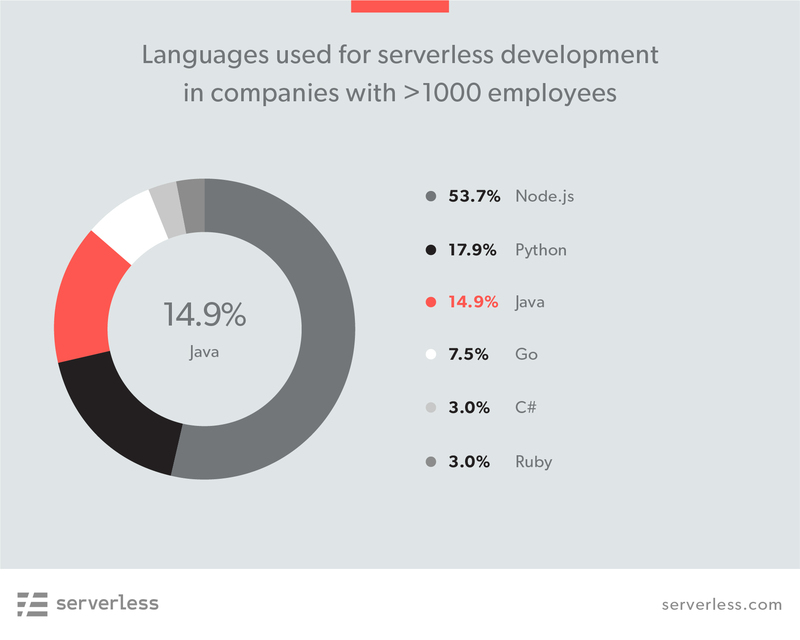 Serverless is growing, and fast. Several key adoption metrics are 2x what they were last year. 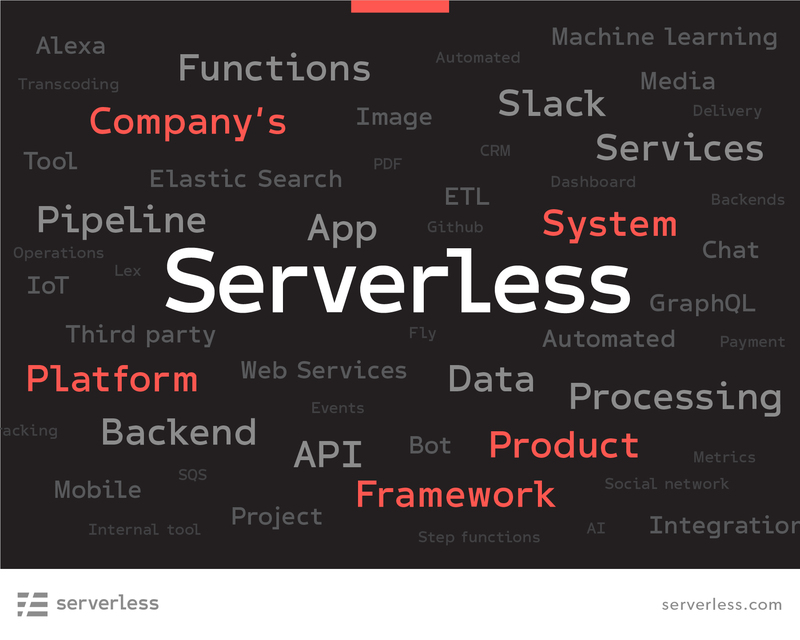 And not just with smaller companies; the enterprise is adopting serverless technologies for critical workloads just as rapidly. 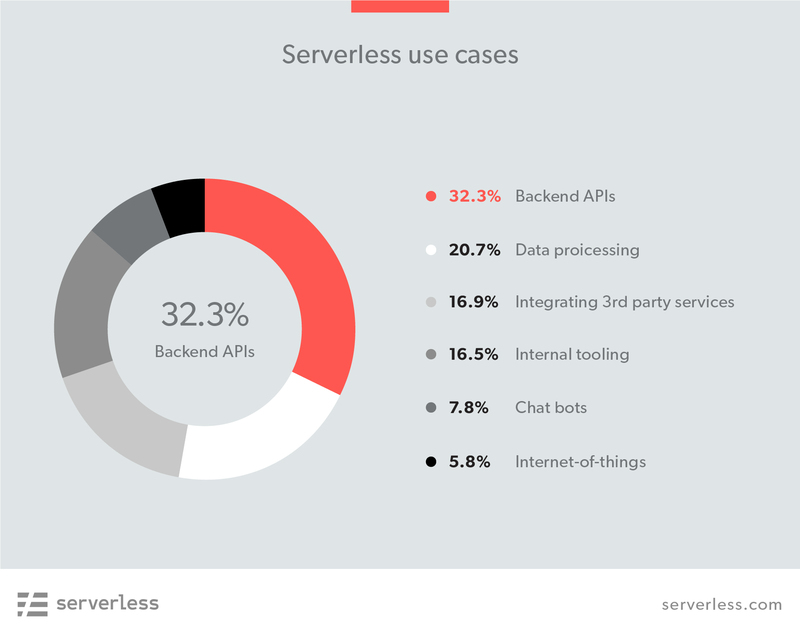 Operationalizing serverless is the biggest obstacle to wider serverless adoption right now. Many more people are using multiple cloud providers than there were last year, which only increases the importance of projects such as CloudEvents and other initiatives that enable vendor choice. 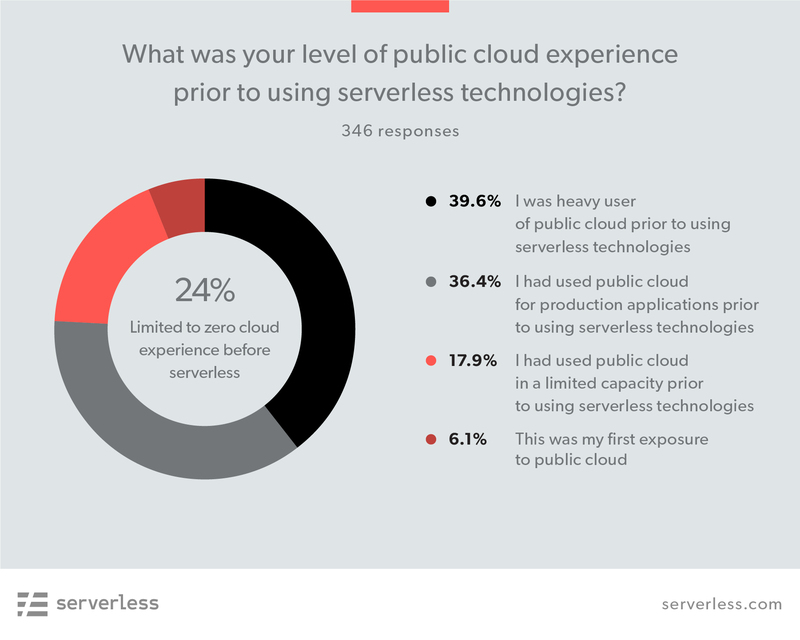 For a lot of people, serverless is their first exposure to the public cloud. 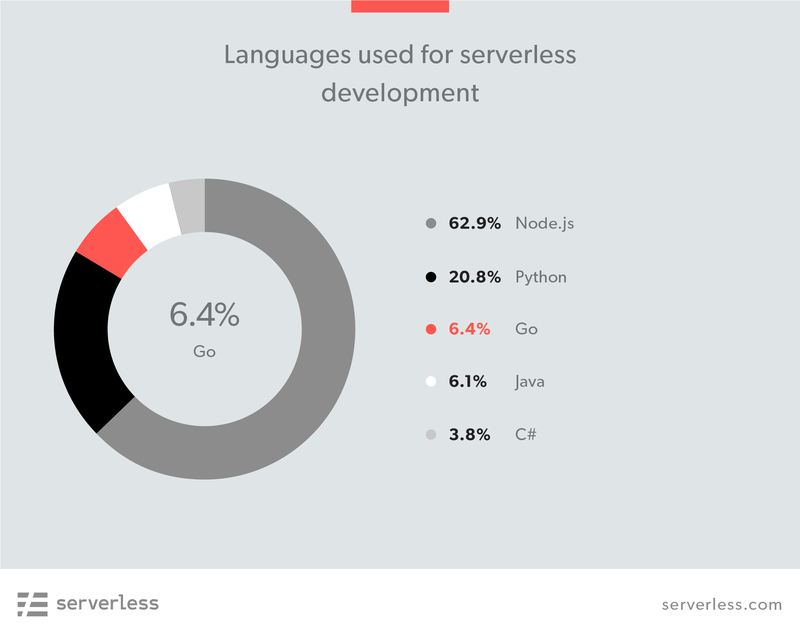 Meaning: serverless is already shifting the ways developers work and improving accessibility to the cloud. Get familiar with GraphQL in this 30-minute tutorial on building an online store with Stripe, Mailgun and Serverless. Integrate GraphQL with Lambda; turn a 3rd party REST API to GraphQL. I built a microservice to interface with the Flickr API using Serverless, GraphQL and Hapi.js.